If you enjoy trying out fine French wines, you must check out Le Petit Ballon. 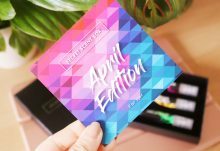 This monthly subscription box is aimed at fellow wine lovers and is shipped via courier to the UK. All of the wines are hand-picked by the famed sommelier Jean-Michel Deluc (who has previously worked as the head sommelier at the Ritz Hotel in London), ensuring that everything that you savour is of the highest quality. 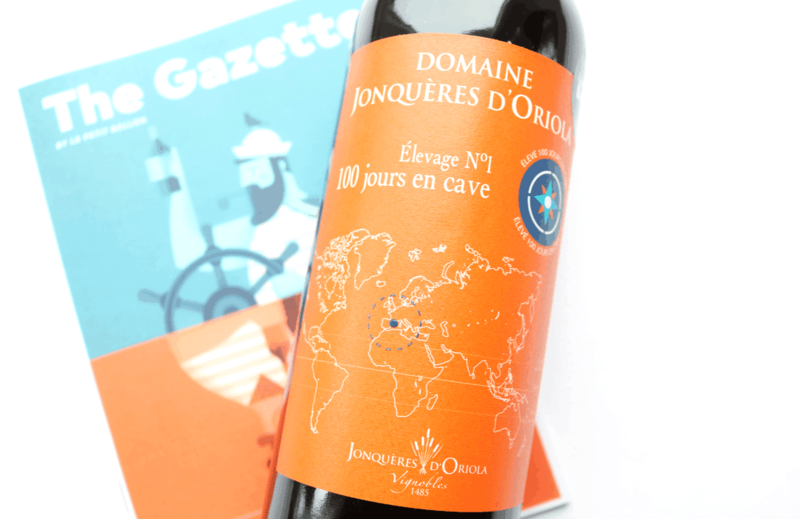 In the box, you’ll find two bottles of wine, Jean-Michel’s Tasting Notes and a copy of The Gazette, Le Petit Ballon‘s magazine that’s packed full of culture, food and of course wine related articles – always a great read! 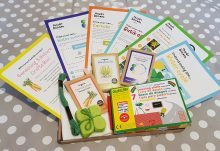 January’s Le Petit Ballon contains two bottles of wine as part of their Grape Expectations subscription, so let’s take a closer look. 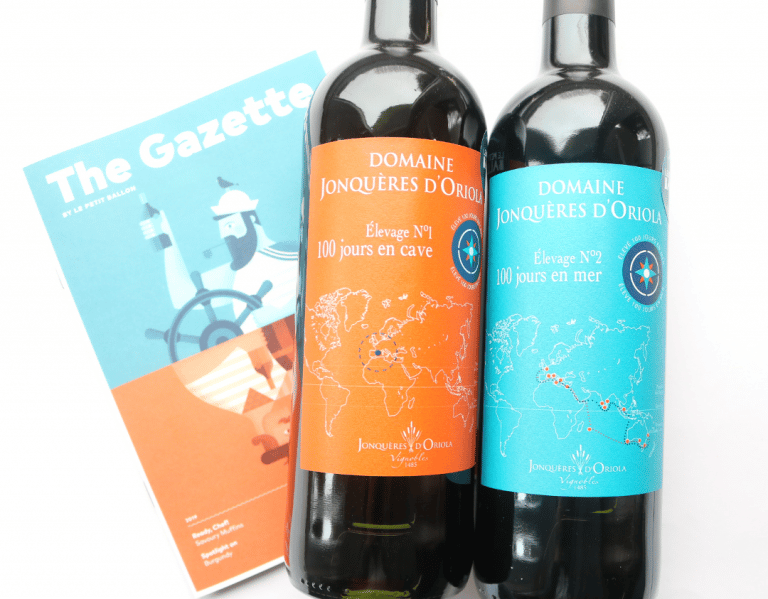 Both of the wines this month are from Domaine Jonquères D’Oriola. 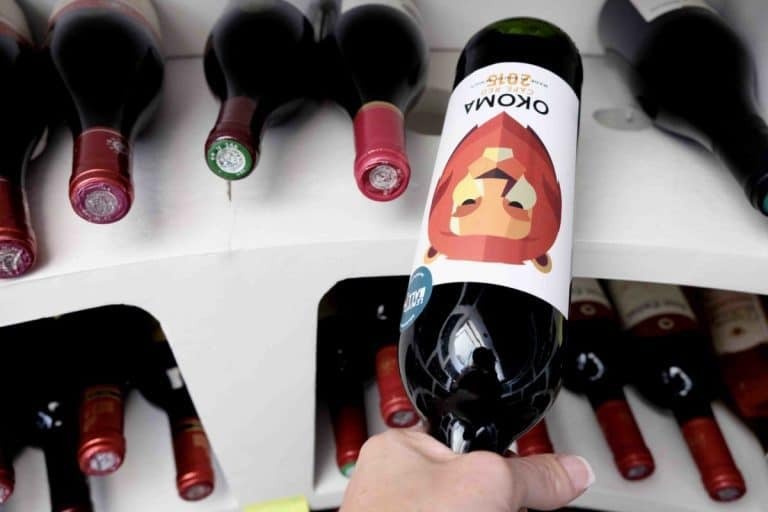 Based in a vineyard at the foot of the Pyrenees, south of Perpignan between the sea and the mountains, William, the son of the current manager has initiated an interesting ‘message in a bottle’ operation. Symbolising the curiosity and innovation of the next generation of winemakers, this beautiful red wine has spent 100 days on land in a cellar with the best curing conditions. In the glass, this wine has a ruby colour with bright purple accents and on the nose, it has a powerfully fruity and complex aroma that signifies its youth. Made from Marselan grapes, it has a delightful fruity flavour that’s rich in Black Fruits, Currants, Blueberries and has subtler notes of Violet, Liquorice and a light sprinkling of Black Pepper for some added spice! I really enjoyed trying this one and it pairs well with Grilled Red Meats, Vegetable Moussaka and cheeses such as Brie, Camembert and Cantal. 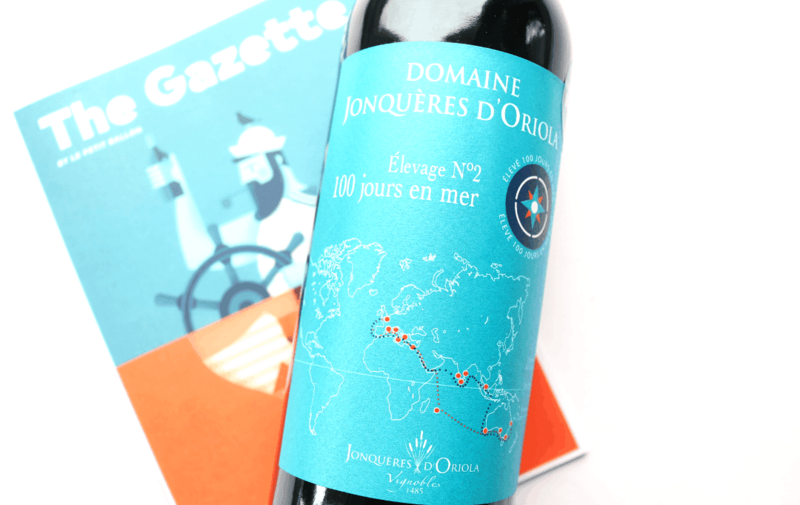 As part of the same innovative project from Domaine Jonquères D’Oriola, this next bottle of wine has spent 100 days at sea. Cradled by the waves, the wine has mellowed and offers a frame that’s more open than its original state – with Jean-Michel commenting that ‘travel has truly brought this wine pleasure’ – how remarkable! To the eye, this wine has a bright ruby red colour with shiny purple hues and when you pour it, your nose is greeted with fruity notes of Cherries and Plums. This is very much replicated on the palate with a powerfully fruity and complex flavour dominating throughout. It has a ripe finish with spicy notes of Pepper and Licquorice, which are softened a little with some Peony. Pairs well with a wide variety of dishes including Spaghetti Bolognaise, Winter Vegetables Gratin, Sea Bream, White Asparagus with Hollandaise Sauce and Fresh Goat’s Cheese with Black Pepper. Two beautiful bottles of fine French wine to enjoy through January - well chosen Jean-Michel!